The Historic, Memorial, and Public Gardens Committee awarded the BGC Evening Division a silver tray. Marybeth Ciarlelli and Linda Holmes accepted it. Certificates of Individual Achievement award were presented to Hedy Bastian and Patty Collins for their mini-monarch habitats. Hedy Bastian was present to accept the certificates. Ann Hacker received an Individual Certificate of Achievement, Civic Creativity Award for designing and producing photographed note cards and for planting multitudes of daffodil bulbs. 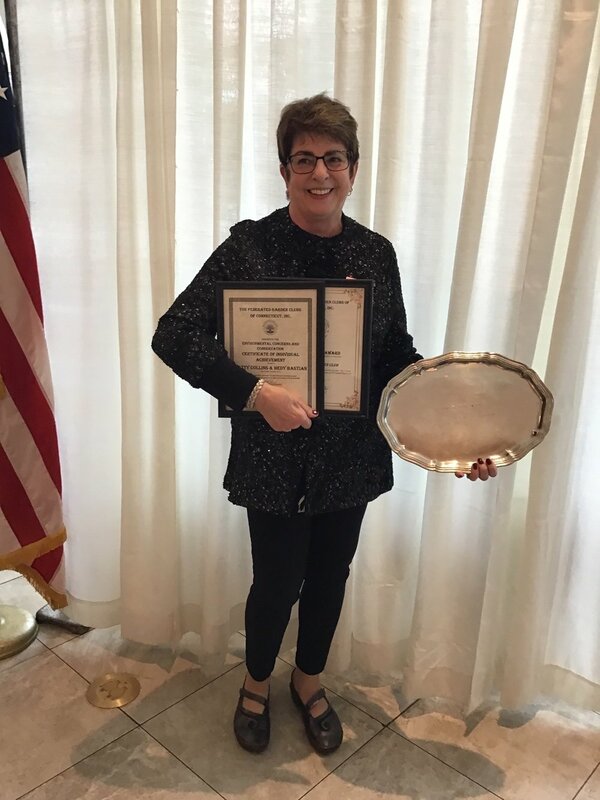 Paula Inglese received an Individual Certificate of Achievement, Civic Creativity Award, for her excellence and creativity in staging at the Breath of Spring Flower Show held in Hartford in February. At the Piladelphia Flower Show Dixie Nace entered "Life Beneath the Waves", winning her second place out of 10 entries. 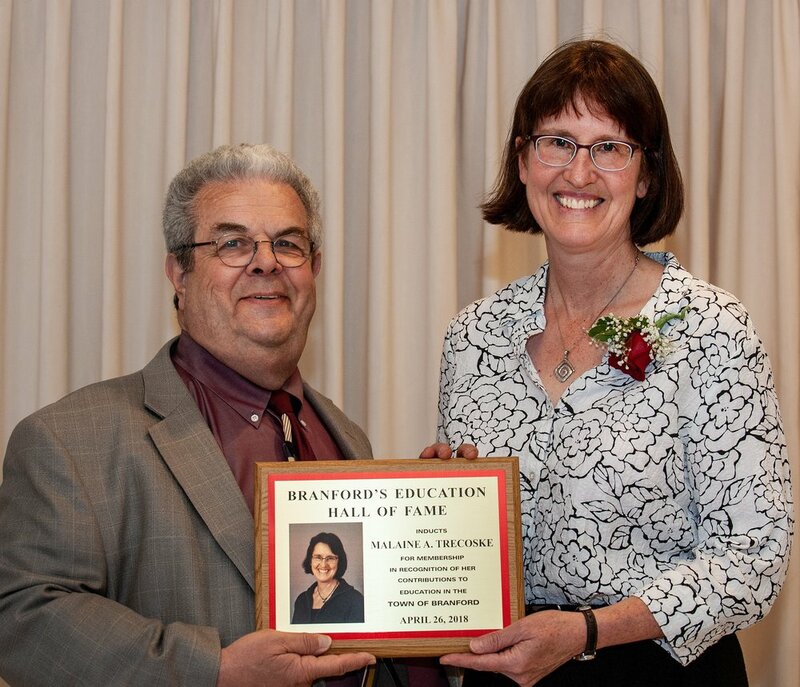 Malaine Trescoske was inducted in the Branford Board of Education Hall of Fame. First Selectman, James B. Cosgrove, honored the Branford Garden Club by proclaiming December 7, 2018, as Branford Garden Club Day in the Town of Branford.